desire and ability to adapt to the changing requirements of clients. This philosophy has been maintained to the present day. The management's progressive approach to methods and equipment enables us to demolish unusual and diverse structures within required time limits and the constraints of todays safety legislation. 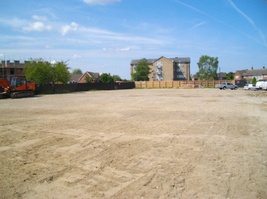 We have successfully executed projects from single houses through city centre projects, office blocks, schools, hospitals to major factory sites. We endeavour to carry out our activities with the minimum effect upon the environment, without causing harm to others or ourselves and by reusing or recycling the maximum amount of arisings within the time scales agreed. 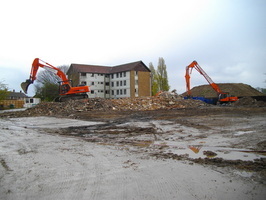 Comley Demolition is a member of the Comley Group.